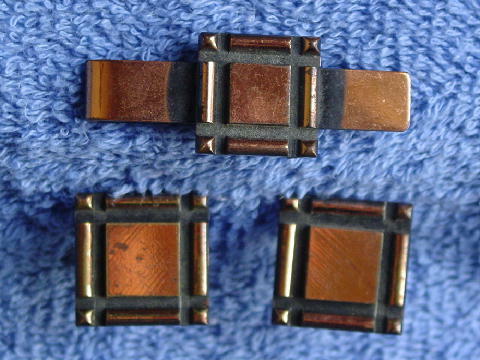 These vintage copper-tone cuff links have an elevated cutout design on a flat black based background. In the center is a square and each corner has a mini box shape and the middle edge of each side has a cylinder shape. 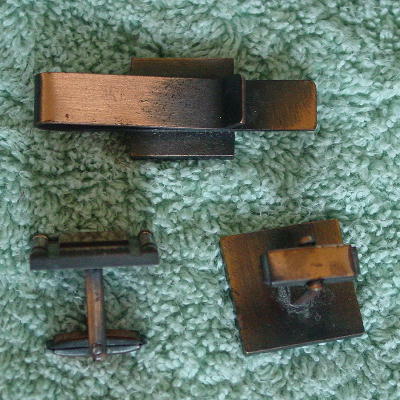 One cuff link has some pitting, but both have some surface scratches. 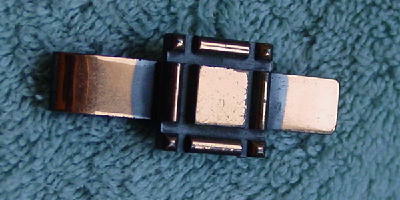 The tie clip has a smaller version of the cuff link face on its center. The copper reflects in the light (almost like mini mirrors). They're from a stylist's inventory, and were used in a movie.